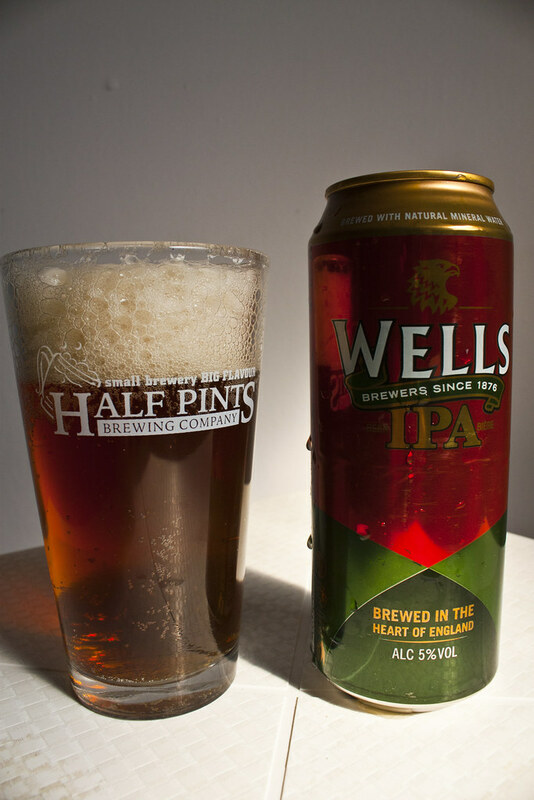 Wells India Pale Ale, originally uploaded by Cody La Bière. Time to try out Wells IPA, brewed in the heart of England. I'm a bit aggravated today so I needed something right now. Aroma: smells like it just got out of a can, which is exactly what it is. Perhaps a bit of a corn aroma as well. Head & Appearance: A rich amber red colour, reminiscent of some British ales, very thick head, that's not going anywhere, slightly cream colour. Taste: First sip was all "tastes like a can of beer indeed, like one you get out of a cooler in summer time, not very IPAish." If I was expecting a Keiths kind of wannabe-IPA, it'd be closer to that. Not bad, but you get what you pay for! A hint of bittersweetness. Overall, a meh beer, cheap, so if you want to be all cultured and try something different, sure - try it. For me though, I'll have a Half Pints' Little Scrapper IPA tonight!